Cornerstone Education provided monetary prizes and staffing support for the event. While House of Blues Music Forward Foundation, World Music Foundation, and New Music School provided enriching workshops for students of all ages. It was truly a remarkable collaborative experience. Students grew as artist while learning through nontraditional instruments and music notations in the World Music Foundation’s workshop with Sandip Burman. House of Blues taught the career development workshops to guide students on how to build a career in the arts whether as a performer or in the background. New Music School focused on classical technique specifically in piano. Executive Director, Prenicia Clifton, a performer with over 30 years of stage experience, hosted an amazing workshop on stage fright and confidence. Student were taught not only how to be fearless on stage, but fearless in life as well. Over 100 people passed through the doors of Instituto Cervantes this weekend to celebrate the gift of art and it was truly an amazing experience. Instituto Cervantes through a partnership with the Spanish Consulate donated the space the for the Chicago Youth Education Exchange. Instituto Cervantes strives to serve the diverse communities in Chicago. ​July 29th of 2017 marked the culmination of the Chicago Youth International Arts Festival, an initiative created by the Chicago Youth Education Exchange. 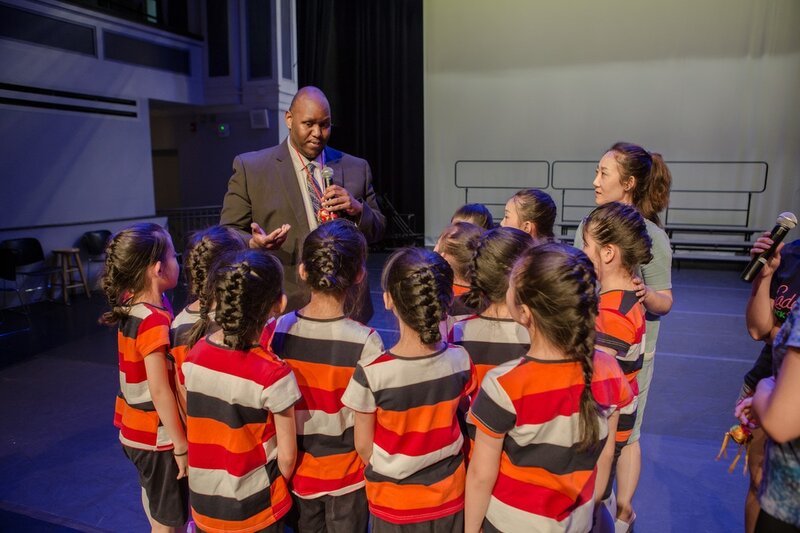 The festival was a remarkable success thanks to partnerships with Cornerstone Education, House of Blues Music Forward Foundation, World Music Foundation, New Music School, the United Chinese of Illinois, and Instituto Cervantes. Students from various backgrounds from around the world came to share their talent at this amazing festival. There were vocal performances Hip Hop, classical Spanish pieces, folk, to instrumental performances with string quartets, tablas (Indian percussion Instruments), zither (Chinese string instrument) and piano. There was also spoken word, visual arts and dance. It was truly a cross-cultural exchange that the city of Chicago needed. The students were able to foster true dialogues through art. Art is a universal language that allowed the students to speak fluently to each other no matter what their native tongues were. The Chicago International Youth Music Festival is a wonderful opportunity for students from China and Chicago to have an enriching and unique opportunity to share the best of themselves with neighbors from around the world. The language of the arts is truly universal and brings us together. I hope the festival will continue so we can further our relationships between the US and China and we can celebrate each other through the arts. I had the wonderful opportunity to participate in the inaugural Chicago Youth International Music Festival. As a guest instructor for the master class in the Voice category, I can truly say that this was an incredibly unique experience. Not only did this festival include cultural exchange activities, but it also gave the participants a first hand look at how to hone their craft while working with professionals in the industry. What was so impressive about these participants was that many of them did not speak English as a first language, yet still managed to adjust to and incorporate into their performances the instruction they received on the spot. This was truly a demonstration of music as a universal language. Bravi tutti! !